Home INSPIRATIONAL POSTERS LIGHT FOR LIFE Courage …. There are times when we need to speak about things that make us feel uncomfortable. Things happen, things may not sit well with us, but that doesn’t always mean that they need to be spoken of. Often it’s just something we need to process ourselves and work out our own thoughts or beliefs. But, there are times when these things can become something we keep coming up to, we walk away and it comes back to us, they can become a stumbling block, things that begin to trip us up. When I say stumbling blocks, I am not referring to things that cause us to sin, but rather things that are getting in the way of our journey forward. Stumbling blocks can also become obstacles when they remain and continue to block our path forwards, and when stumbling blocks become obstacles then there is an impasse. Finding the courage to speak can be a challenging thing. Its a victory when you can find your voice and work through things that have disturbed you, things that may be causing you to trip up, things that you need clarity on. For me finding my voice in all kinds of arena’s has been a liberating thing… in places of employment, in friendships, in relationships, in churches, with people I consider to be leaders, and its darn fantastic to feel that when most of my life I had so much restricting my ability to speak, as if I was all choked up. The brilliant thing is that each instance has taught me and strengthened me – not in a ‘hard’ fashion but in a ‘confident’ fashion. I pray you will have courage to speak for it will bring freedom and growth that can’t come through any other means! 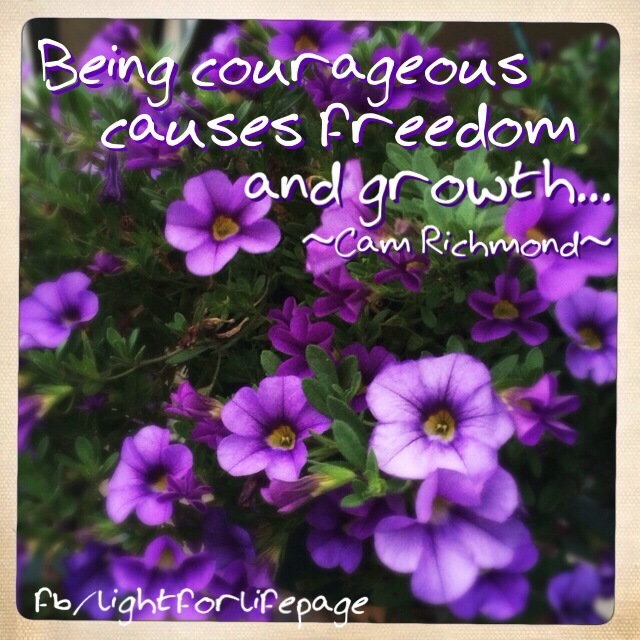 courage, Freedom, growth, healing. Bookmark. The offenders in our life….